Janta, a beautiful naive simple minded young man who wants to join the police force in the following of both his grandfather and his father after getting refused then accepted him with the support of his new friends police commissure and his daughter Deepo. 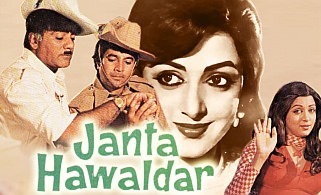 Janta unintentionally become very successful in his work, meets blind florist Sonana and falls in love with her. Janta gets some enemies including Sonana’s uncle who is hiding a secret and scared from Janta that he will explore it will Janta escape evil plans from his enemies who want to get him fired from police? will he explore Sonana uncle secret marry Sonana? or will things turn against him?